Cedric Paquette had his teammates on their feet after his game-winning goal in Game 3 of the Stanley Cup Final. Earlier in the 2014-15 season, Cedric Paquette found himself skating in two leagues. 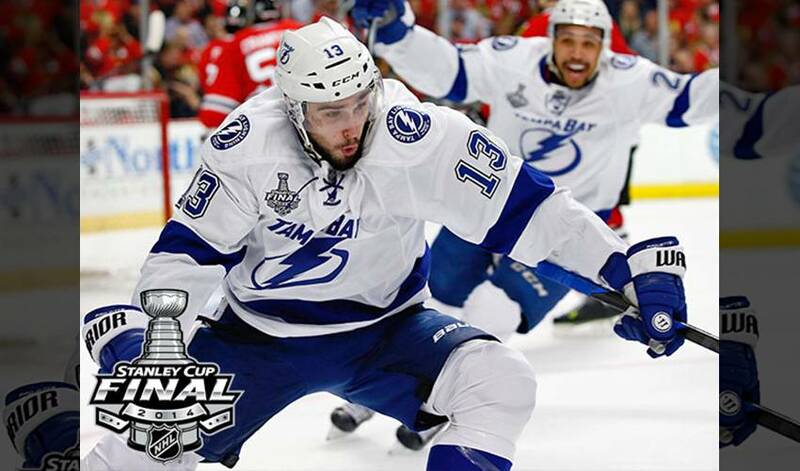 On Monday night in Chicago, the forward was centre stage in Game 3 of Stanley Cup Finals. He was a 30-goal scorer in the Quebec Major Junior Hockey League, tallying 31 times for the Blainville-Boisbriand Armada in 2011-12. Last campaign, he had 20 goals for the American Hockey League’s Syracuse Crunch. This season, he appeared in a total of five games with Syracuse, and 67 contests with the Lightning. Paquette, who scored his first two NHL goals on November 6, 2014, became the third rookie in franchise history to register a hat trick, the milestone moment coming on January 29, 2015 versus Detroit. His most significant big-league goal, however, was on the evening of June 8 in front of a boisterous United Center crowd, one that delivered Tampa Bay a 3-2 win and with it, a 2-1 series lead against the Blackhawks. The goal, with 3:11 left in the third period, was Paquette’s first game-winning marker in the NHL post-season. It was part of a big night for the native of Gaspe, Quebec, who recorded six hits, three shots and one blocked shot. There are no more question marks these days for Paquette, who was given the monumental task of neutralizing Chicago captain Jonathan Toews in the Stanley Cup. The centreman, who scored his first NHL playoff goal in the Eastern Conference quarterfinals against the Detroit Red Wings, was quick to praise Tampa Bay backstopper Ben Bishop, who made 36 saves (on 38 shots) in the victory. Two words Cedric Paquette likely heard more than a few times in the aftermath of a masterful Stanley Cup performance.